Home » The Gospel of Jesus Christ » Second Coming of Jesus Christ » How Will Jesus Return? Have You Welcomed the Return of Jesus? Exactly how will the Lord come? I remembered that our pastor often said, “The Lord will come soon, so we should wait watchfully. When the Lord comes, He will descend on a cloud to take us into the kingdom of heaven.” At that time, most of my brothers and sisters approved of his words. However, I felt puzzled about his view that the Lord Jesus will descend on clouds, for I saw these words of the Lord Jesus in the Bible: “Behold, I come as a thief” (Revelation 16:15). “If therefore you shall not watch, I will come on you as a thief, and you shall not know what hour I will come on you” (Revelation 3:3). The Lord Jesus’ words clearly told us that He would come like a thief. That is to say, people are completely unaware. However, won’t everybody see Him if He returns descending on the clouds? What is that really about? This question was always a puzzle to me. I came across a sister who spreads the gospel. One day in April 2018, I ran into Sister Zhang when shopping. Like old school friends we clicked and started chatting. After that, whenever we were free, we would fellowship our own spiritual experiences. One time, Sister Zhang invited me to attend a Bible study meeting, and then I was acquainted with several sisters and brothers there. One of the brothers surnamed Chen had light in his fellowship. He integrated some of the prophecies in the Bible to fellowship with us on some truths, such as the differences between “being saved” and “attaining full salvation,” the mystery of God’s six-thousand-year management plan, and how to discern the voice of the Lord. His words helped me understand some prophecies in the Bible and know the Lord more practically. 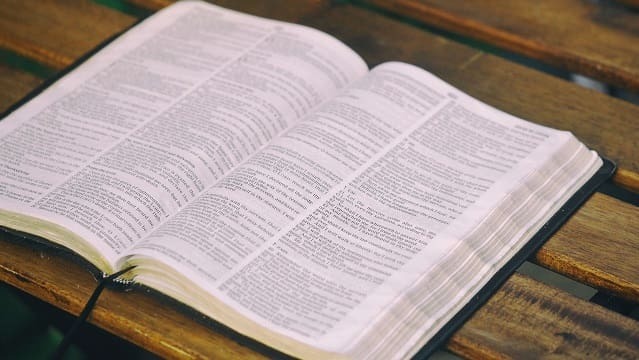 At that time, an idea occurred to me, “Is Brother Chen from The Church of Almighty God?” In the past, I often heard the pastors say that the way of Eastern Lightning was so good that many people were attracted by it, and they also asked us not to listen to sermons with our guards down. With these thoughts in mind, I became somewhat worried, so I prayed to the Lord in my heart, “O Lord! Please protect my heart, and help me tell right from wrong.” After praying, I carefully recalled several recent meetings with Brother Chen and found there was nothing wrong. What Brother Chen fellowshiped accorded with the Bible, which helped me understand more about the work of God and His will, and benefited my life. Thinking of all this, I didn’t feel that worried and believed that God would lead me to understand His will. We discussed the manners of the Lord Jesus’ return. Just when I was in doubt, Brother Chen fellowshiped, “It is not difficult for us to find that there are many prophecies in the Bible about the way of the Lord coming, not just the prophecies that He will ‘descend with the clouds,’ but also many prophecies that He will descend secretly. For instance, ‘Behold, I come as a thief’ (Revelation 16:15). ‘And at midnight there was a cry made, Behold, the bridegroom comes; go you out to meet him’ (Matthew 25:6). From these verses, we can see that the Lord will not only return descending on the clouds, but also in secret—He will return in two ways: One way is to come in secret as a thief, so no one will know, and the other is to appear in public whilst riding upon a cloud that everybody will see. Some people say that ‘as a thief’ and ‘at midnight’ mean that no one knows when the Lord will come. Actually, this is just one aspect of the meaning of the Lord coming as a thief; it also means that the Lord becomes flesh as the Son of man, coming in secret. There are many prophecies about His secret arrival, such as ‘Be you therefore ready also: for the Son of man comes at an hour when you think not’ (Luke 12:40), and ‘For as the lightning, that lightens out of the one part under heaven, shines to the other part under heaven; so shall also the Son of man be in his day. But first must he suffer many things, and be rejected of this generation’ (Luke 17:24-25). These prophecies mention the Son of man, when we talk about the Son of man, it refers to a person born to a human and with normal humanity. So the Spirit then can’t be called the Son of man. For example, Jehovah is the Spirit, and so can’t be called the Son of man; angels are spiritual beings, and so can’t be called the Son of man. The Lord Jesus incarnate was called the Son of man, because He was the incarnate flesh of God’s Spirit, becoming an ordinary man who just lived among us. So then when the Lord Jesus said ‘the Son of man comes,’ ‘the coming of the Son of man,’ He meant in the last days He would become flesh again. The verse also mentions ‘But first must he suffer many things, and be rejected of this generation.’ If it were the spiritual body of the resurrected Lord descending on a cloud and appearing publicly, who would dare to resist and condemn Him? All people would prostrate and worship. Therefore, He wouldn’t suffer, much less be rejected by this generation again. Moreover, the spiritual body is particularly supernatural and not subject to space and geographical constraints. It can penetrate walls and walk through closed doors. It would not suffer like the flesh. Only when God incarnates to work will He suffer. Just like when the Lord Jesus came to do His work, He seemed like an ordinary and normal man, so the people at that time didn’t treat Him as God. The Jewish chief priests, scribes, and Pharisees furiously condemned and opposed the Lord Jesus and finally colluded with the Roman government to crucify Him. From this we can see that God will return in the flesh and appear to people as the Son of man. This fulfills the prophecies of His coming in secret. As Brother Chen’s fellowship was well-founded, we all nodded. Then Brother Chen fellowshiped, “So how will the prophecies of the Lord descending on a cloud be fulfilled? Actually, when God incarnate works in secret in the last days, He speaks words practically and carries out the work of judgment beginning from the house of God based upon the foundation of the Lord Jesus’ work of redemption. The wise virgins recognize that His words and utterances are exactly the voice of God, and then return before His throne. It has fulfilled the prophecy of the Lord Jesus, ‘And at midnight there was a cry made, Behold, the bridegroom comes; go you out to meet him’ (Matthew 25:6). ‘Behold, I stand at the door, and knock: if any man hear my voice, and open the door, I will come in to him, and will sup with him, and he with me’ (Revelation 3:20). These wise virgins hear God’s voice and accept God’s work of judgment, so that their life dispositions can be changed and they can be made overcomers by God and survive the catastrophe. Whereas those foolish virgins neither listen to God’s voice nor seek and investigate God’s work, but instead condemn and resist God’s work. When God sends down a catastrophe and rewards the good and punishes the evil, they will realize that the One they have resisted is exactly the returned Lord Jesus, and they will beat their breasts and wail in anguish. Then the prophecies of the Lord descending with the clouds to appear publicly will be completely fulfilled: ‘And then shall appear the sign of the Son of man in heaven: and then shall all the tribes of the earth mourn, and they shall see the Son of man coming in the clouds of heaven with power and great glory’ (Matthew 24:30). ‘Behold, he comes with clouds; and every eye shall see him, and they also which pierced him: and all kindreds of the earth shall wail because of him’ (Revelation 1:7). Now, we know that the Lord Jesus’ return will be in two different ways. He will first descend in secret by incarnating as the Son of man, expressing the truth and performing His work of judgment starting at the house of God and making a group of overcomers before the great disaster. Then His secret work will conclude and the great disasters will fall, and later He will openly descend on a cloud to appear to all peoples, and then reward or punish each one according to their deeds. We can see that God’s disposition is too righteous. God working in this way is too wise, too almighty! After listening to Brother Chen’s communication, I felt it was so great. I used to hold on to the prophecies of the Lord coming like a thief, but I couldn’t explain how He comes specifically, or explain the prophecies of His descending on a cloud. Brother Chen’s fellowship enabled me to understand that the prophecies of “coming as a thief” and “descending on a cloud” are not contradictory. God first arrives on earth in secret to do His work. On the one hand, He saves man, and on the other hand, He reveals man. When God’s salvation work for mankind is complete, He will descend on a cloud to openly appear to all peoples and reward the good and punish the evil. God is so almighty and wise. Though I had read the Bible for many years and listened to many pastors’ fellowship, I still didn’t understand the truths of this aspect. Brother Chen’s fellowship indeed had enlightenment, which greatly helped me. Just then, Sister Liu couldn’t help but ask, “Brother Chen, I haven’t seen you for more than a year. Your fellowship is full of light and you know things that we don’t, so I wonder if the Lord has returned.” In fact, I felt curious, too. Brother Chen smiled, and then he took several books named The Scroll Opened by the Lamb out of his bag and passed them to us. I happily received the book, but when seeing the words “published by The Church of Almighty God,” I was startled for a moment, and felt somewhat uneasy. I thought, “Our pastors have mentioned that The Church of Almighty God is preaching very lofty sermons which have attracted many people. So they don’t allow us to listen. But last time, I visited the website of The Church of Almighty God and saw that they have been testifying that the Lord Jesus has returned. The return of the Lord is a great matter, so I should take it seriously and see whether the Lord really has come back or not. The Lord Jesus said, ‘Ask, and it shall be given you; seek, and you shall find; knock, and it shall be opened to you’ (Matthew 7:7). So I should be a clever virgin and actively investigate it, which is in line with the Lord’s will. I believe the Lord will guide me.” Therefore, I took the book home. The Lord really has come back. After praying, I read many pieces of Almighty God’s words. I felt very shocked when reading each passage. I came to some understanding of God’s three stages of work, the significance of God’s name, the mysteries of mankind’s destination and other aspects of the truth. Only God Himself can clearly explain His works and reveal all mysteries. So, I felt these words were very likely to be God’s voice. In order to know more about the work of Almighty God, I visited the website of The Church of Almighty God to investigate. Then I watched several dance and song videos, which were so wonderful and surprised me. The brothers and sisters in the videos danced simultaneously, and each of them was brimming with vigor, smiling happily. I also felt relaxed and happy. When I watched religious dance and song videos, I never had this feeling. Afterward, I watched some gospel movies of The Church of Almighty God, in which the truth fellowshiped was clear, and many mysteries in the Bible were explained. The doubts and confusions I had had for many years since I started to believe in the Lord were resolved bit by bit. I saw that The Church of Almighty God really is a church that has the work of the Holy Spirit, and I felt that Almighty God is quite likely to be the returned Lord Jesus. A few days later, I went to a meeting. On seeing us, Brother Chen asked us what we had gained from reading God’s words. I told him all my feelings. Brother Chen said with delight, “Almighty God is the returned Lord Jesus, and He has expressed all the truth for mankind to be saved. These truths that we haven’t ever heard of before show us a way to be saved and enter the kingdom of heaven. This precisely fulfills the Lord Jesus’ prophecy: ‘I have yet many things to say to you, but you cannot bear them now. However, when he, the Spirit of truth, is come, he will guide you into all truth: for he shall not speak of himself; but whatever he shall hear, that shall he speak: and he will show you things to come’ (John 16:12-13).The book I gave you last time contains only a small part of Almighty God’s words. Thanks be to God. All of you can recognize God’s voice, and you are blessed!” When learning the news that the Lord Jesus has returned, I failed to react to it for a moment and thought: “Is Almighty God indeed the returned Lord Jesus? The Lord has really returned? I have welcomed the Lord? Am I dreaming?” After quite a while, my heart calmed down. Later, Brother Chen played some hymn videos, such as “Only the Creator Takes Pity on This Mankind”, and “The Sky Here Is So Blue”, and he also played some skits such as “Our Pastor Said …” and “A Warning From History”. After watching these videos, I was completely convinced that Almighty God is the returned Lord Jesus. We all happily accepted God’s new work, following the Lamb’s footsteps. I have attended the wedding feast of the Lamb. Thanks be to God! It was God’s guidance, enlightenment and leadership that allowed me to follow the Lamb’s footsteps. I recalled what the pastors said, “Don’t listen to the preaching of Eastern Lighting casually. As soon as you hear, you’ll be attracted.” Now, I finally understand what it is all about. The Lord is speaking to search for His sheep upon His return. All the words that Almighty God expresses are the truth, from which we recognized God’s voice. It exactly fulfills what the Lord Jesus said, “My sheep hear my voice, and I know them, and they follow me” (John 10:27). Nowadays, I read God’s words every day. Under the feeding and nourishing of the living water of life, I’ve begun to understand some truths, and grow in life day by day. From now on, I will pursue the truth earnestly and perform my duty in return for the great love from God! All the glory be to Almighty God! » Click here to watch this short video and see how they welcomed the return of the Lord Jesus.